Explorer Matthew Flinders first splashed ashore from his trim sloop, Norfolk, in 1799 near Clarence Head, a monolithic heap of rock that shields Yamba from the wilder excesses of the Pacific Ocean, to fix a leak and maybe have one. He’d been despathed from Sydney to find a new Eden, but from his vantage point atop a craggy promontory, now Pilot Head, he blithely dismissed the shoaling, turbulent estuary as dangerous and unworthy of further examination, before sailing away. A shame, really, because he completely missed what he was sent to find; the largest estuarine system on Australia’s east coast, the fabulously bucolic Northern Rivers Delta, and one of Australia’s most-favoured holiday spots. Yamba. Liberally blessed with a perfect climate, quasi-bohemian lifestyle and peerless surf beaches, the jewel in Yamba’s board-riding crown is the revered and treacherous Angourie point break – beginners need not apply. 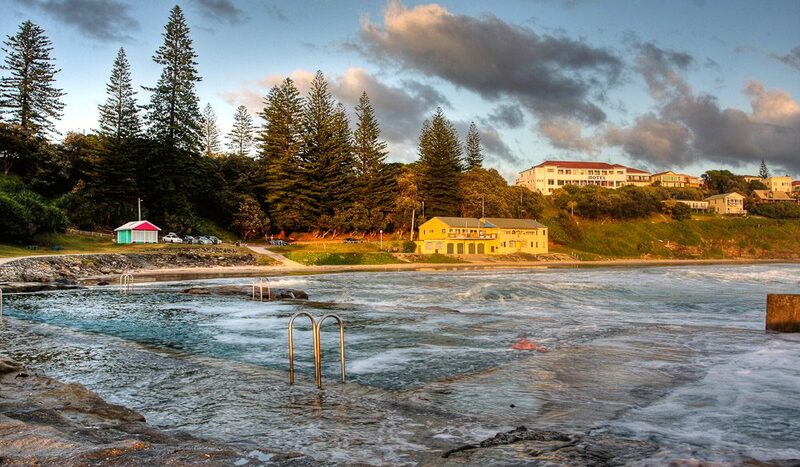 Picture postcard pretty, Yamba prides itself on providing a wholesome, safe and peaceful getaway. The town retires early, sleeps soundly and wakes early with the kids. Its lack of nighttime pizzazz is more than compensated for by excellent eateries and more things to do than you can point a wet flipper at. It’s also enjoying a sprucing up. Street cafes now shelter under sails and flourishing shade trees. Shopping has become more cosmopolitan – posh frock shops, galleries et al – but even under increasing pressure from its burgeoning popularity, Yamba refuses to move at any pace but its own. Just try hurrying the lads Dave, Mike, Steve and Kev at the bottle shop and you’ll see. Like migratory birds, families return decade after decade for that very reason. Did you know? // Yamba’s marina is owned by local Kay Cottee (OA) who, in 1988 aboard her 11.2m First Lady, became the first woman to single-handedly circumnavigate the world non-stop. She took 198 days. Great and information you have added here! We have a few friends that worked at a hostel in Yamba for a while, and had really amazing things to say about the area. I have hard Yamba is a famous and amazing town with a relaxed and fun beach vibe.